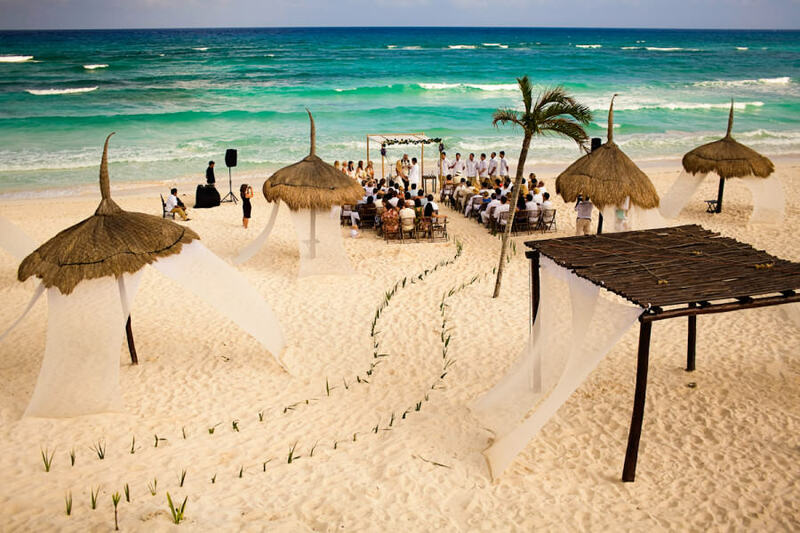 Playa del Carmen will always be one of our favorite Mexico destination wedding locations. This beautiful, lively town has everything you’d need for the perfect Mexico wedding: a walkable downtown where your guests can shop and dine (shopping on 5th Avenue is a must! ); a beautiful beach with lots of different wedding venue options; a hopping nightlife that has remained upscale despite the growing tourism; and proximity to Mexico cultural sites such as the Coba Mayan ruins. Your guests will have so much to do they won’t even be able to fit it all into one trip. Check your date with us – we would love to give you amazing wedding photos from your Playa del Carmen wedding!